This international and interdisciplinary workshop is part of a series of events organized by the Horizon 2020 project CANVAS. 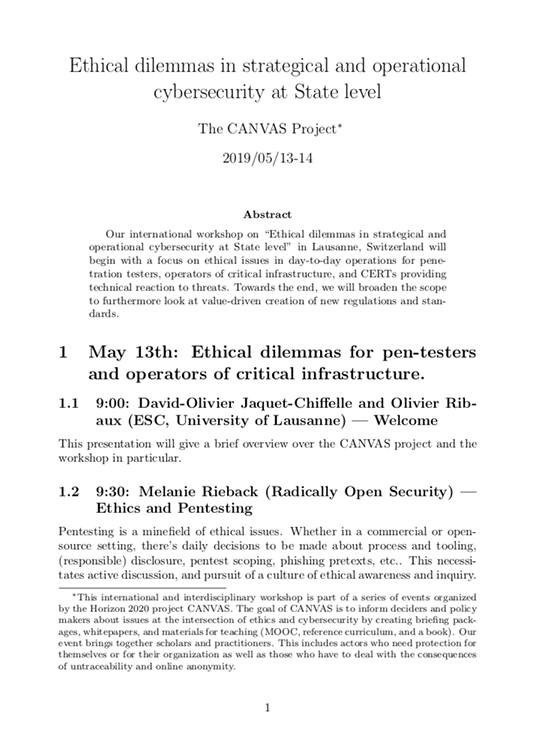 The goal of CANVAS is to inform deciders and policy makers about issues at the intersection of ethics and cybersecurity by creating briefing packages, whitepapers, and materials for teaching (MOOC, reference curriculum, and a book). Our event brings together scholars and practitioners. This includes actors who need protection for themselves or for their organization as well as those who have to deal with the consequences of untraceability and online anonymity. 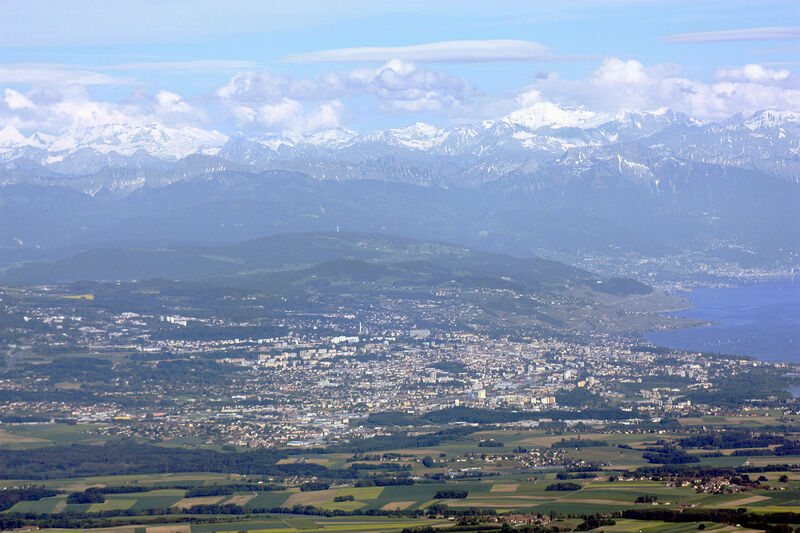 Our international workshop on “Ethical dilemmas in strategical and operational cybersecurity at State level” in Lausanne, Switzerland will begin with a focus on ethical issues in day-to-day operations for penetration testers, operators of critical infrastructure, and CERTs providing technical reaction to threats. Towards the end, we will broaden the scope to furthermore look at value-driven creation of new regulations and standards. The outcomes of the workshop will serve as input for the deliverables of CANVAS. We need more security! Protecting high-value secrets and vulnerable humans. Operational security training I: Why is it so difficult to get it right? Hacking to help: moral and legal difficulties of independent security research. Anonymity on the internet: challenges for activists and law enforcement. Exploits and exploration: balancing harm and utility in academia and practice. Your privacy is important to us: conflicts in the corporate environment. Operational security training II: pragmatic recommendations for the paranoid. Ethical dilemmas for pen-testers and operators of critical infrastructure. Coffee is served on site (for all registered participants). Rendez-vous techniques: the weakest link? The example of the DNS. Lunch is served on site (for all registered participants). For speakers only. Location will be announced at a later time. Securing the State & the People in Cyberspace – An ethical dilemma or just a big misunderstanding? 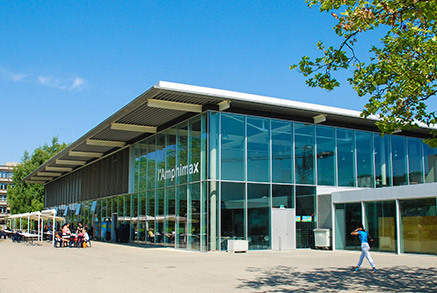 The workshop takes place at University of Lausanne in room 414 on the second floor of the Amphimax. 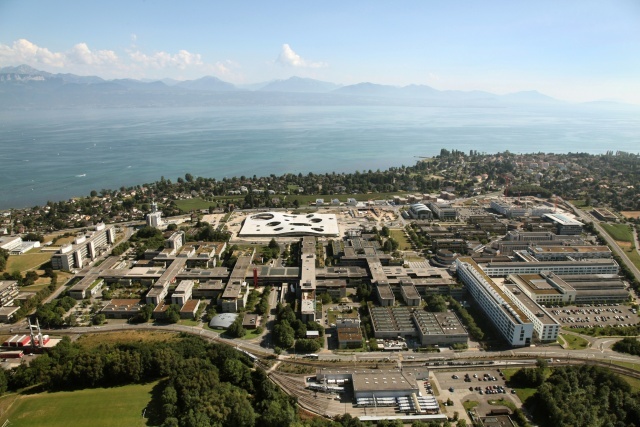 Information on how to reach Lausanne can be found on the website of the university. We recommend you stay at the nearby Swisstech Hotel. You may find cheaper options on your favorite hotel booking portal. Consider the following table for hotels and rates. Save some time for exploring the area! The workshop is non-profit. Registration is free. Registration is open until 7 May 2019. The workshop is organised by the CANVAS Project.